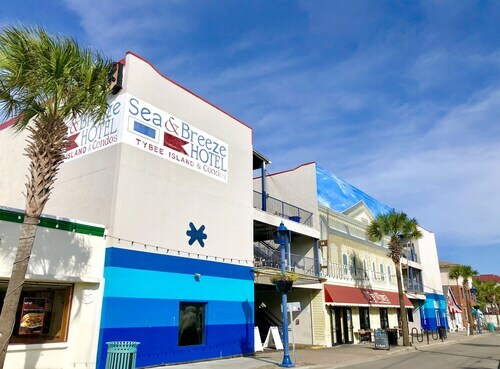 Located 12 miles from historic downtown Savannah, this hotel on Tybee Island faces a sandy swimming beach on the Atlantic and is adjacent to a fishing pier; shops and restaurants are within 2 blocks. 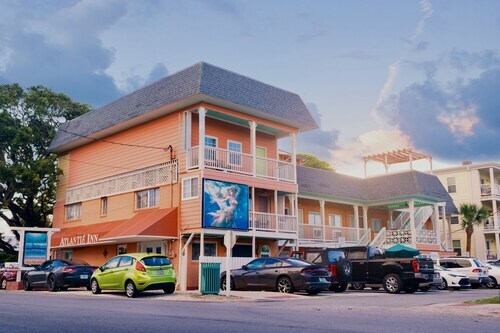 Nestled on the beach, this Tybee Island hotel is just steps from North Beach and Tybee Island Beach. Mid Beach and Tybee Island Memorial Park are also within 10 minutes. 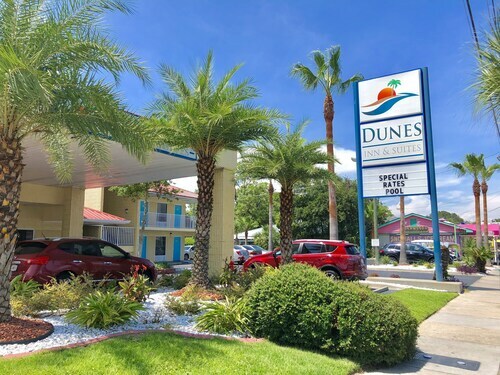 Located in the heart of Tybee Island, this motel is within a 5-minute walk of Tybee Island Beach and Mid Beach. Tybee Island Marine Science Center and Tybee Island Fishing Pier and Pavilion are also within 15 minutes. 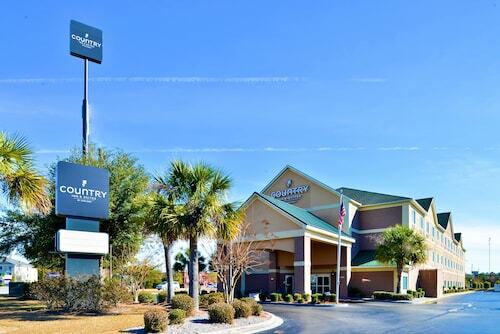 Situated by the ocean, this hotel is within 1 mi (2 km) of Tybee Island Marine Science Center and Tybee Island Beach. Tybee Island Fishing Pier and Pavilion and Mid Beach are also within 10 minutes. 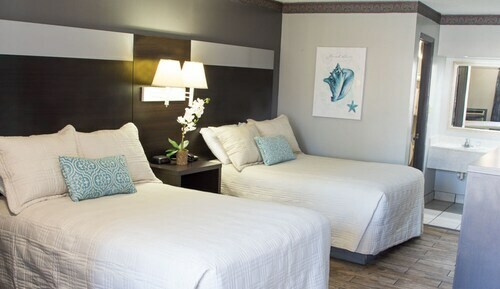 Situated near the beach, this motel is within a 5-minute walk of Mid Beach and Tybee Island Beach. Tybee Island Marine Science Center and Tybee Island Fishing Pier and Pavilion are also within 10 minutes. 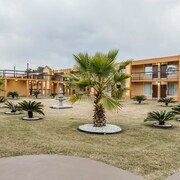 Situated near the beach, this motel is within a 5-minute walk of Tybee Island Beach and Tybee Island Marine Science Center. Mid Beach and North Beach are also within 2 mi (3 km). 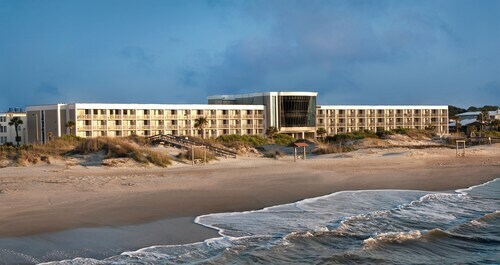 Situated near the beach, this resort is steps from North Beach and Tybee Island Beach. Mid Beach and Tybee Island Memorial Park are also within 10 minutes. 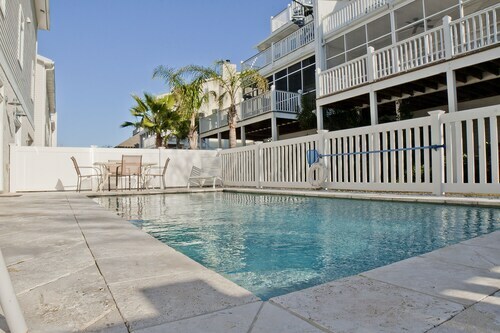 Offering direct access to the beach, this Tybee Island bed & breakfast is steps from North Beach and Jaycee Park. Battery Garland and Tybee Island Beach are also within 15 minutes. 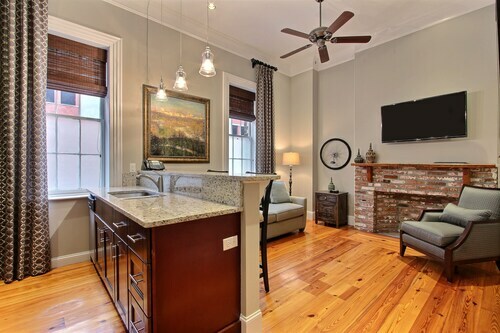 Located in Historic Downtown Savannah, this condo building is steps from Rousakis Riverfront Plaza and River Street. 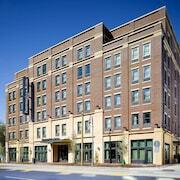 City Market and Savannah Convention Center are also within 15 minutes. Shadows of soaring seagulls glide across the sidewalk as you press your left foot down and steady yourself. It’s been years since you’ve ridden a bicycle, old friend, but you’re grateful for the truth in that old saying about never forgetting how to do so. You feel a bit more at ease as you gain some momentum, yet the scene unfolding around you makes you giddy with glee. On your right, Atlantic waves conclude their long journey on the sands of a stunning beach, while quaint shops, charming restaurants, and luxuriant lodges line the streets to your left. As you continue pedaling through this paradise, you look around and realize you’ve made the right decision by choosing to stay in Savannah. 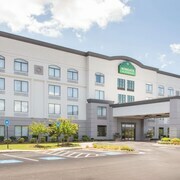 When you book a room at any of the Savannah beachfront hotels, you can experience the food and fun this Georgian jewel is famous for. 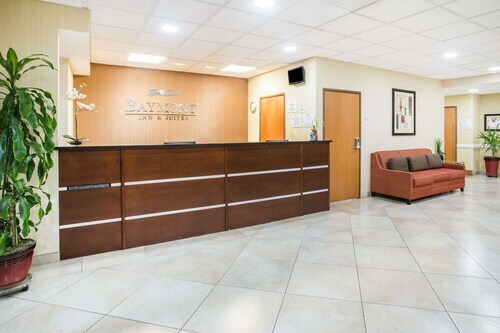 But before starting your escapade in the South, here are answers to a couple of commonly asked questions. Where are the best restaurants in Savannah with a view of the water? Barracuda Bob’s Bar and Grill: Known for its vast beer selection and award-winning burgers, this swanky seafood joint is one of Savannah’s most popular spots. Chart House: In the mood for a romantic evening? 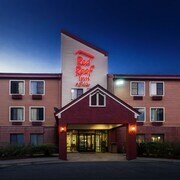 Take your date to this classic fine-dining establishment with a spacious riverside patio. Huey’s on the River: Feast on authentic New Orleans fare at this high-end eatery specializing in signature southern dishes. Vic’s on the River: This well-reviewed restaurant in Savannah’s historic district offers an impressive selection of wines and live music every night of the week. The Wyld Dock Bar: With a fire pit and bocce ball court, this casual watering hole is an excellent choice for happy hour or a satisfying seafood dinner. What are the best beach activities in Savannah, GA? South Beach: Approachable waves and everpresent lifeguards make this busy coastline ideal for family, swimmers, surfers, and anglers. Mid Beach: In the mood for some quiet contemplation? This peaceful shore is the place to be. North Beach: Go birdwatching or read a book at this shore closest to Savannah. Savannah River Beach: Spot some dolphins aboard cruises departing from the riverbank beach. Back River Beach: At the opposite end of the island, this beach is an excellent launching point for kayakers. 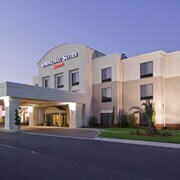 Savannah hotels on the beach are well within reach when you trust Travelocity to present you with the web’s best deals. 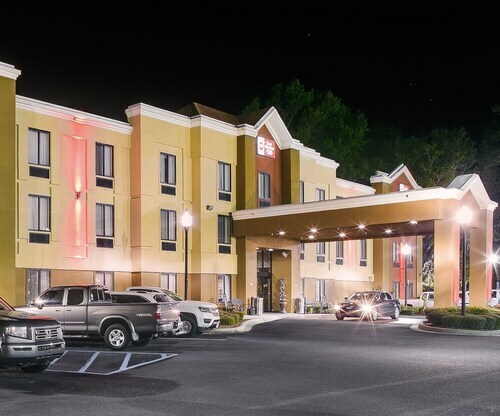 So why wait to take advantage of our great rates on rooms at Clarion Inn & Suites, DeSoto Beach Gardens, and many other Savannah beach hotels? 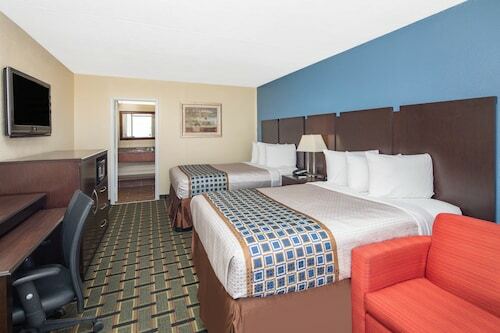 Book your stay today, and you’ll be cruising near the sand in no time. 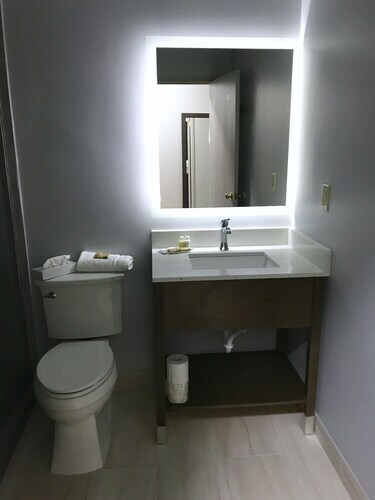 Nice property in a convenient location. Very friendly face at checkin. Overall we had a good experience. The only thing I can say is the have a pool but we could not use it because it needed to be inspected. Good overall trip, visitors seem to be unfriendly. Indoor pool and hot tub. Full breakfast with extremely friendly staff and competent too. Refrigerator and microwave in a room with two king beds. We were very pleased and tickled with all these things.